Twenty years before, high school coach Gil Gilbert gave up his dream to play professional baseball so he could marry his pregnant girlfriend, Keri. When he miraculously discovers that he can pitch with deadly accuracy and speed, he must choose between his successful career and comfortable family life or his chance to play with the Colorado Rockies during a player’s strike. Gil stuns the pitching staff with 100 mph fastballs and is offered a contract. After joining the Rockies, the world soon learns that Gil is a supernatural phenomenon and the Rockies keep winning. 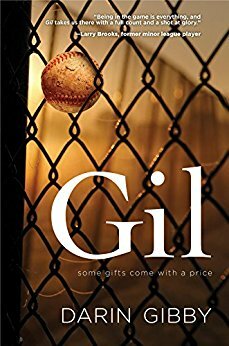 But Gil soon faces stiff opposition, including a frivolous lawsuit, a father who feels his son’s calling to pitch is to save souls, and threats from the striking players. As the season progresses, Gil discovers that his unexpected gift is the result of a rare disease, and continuing to pitch may hasten his own death. While Keri supports his decision to keep playing, she is fearful about her husband’s bizarre health condition. to accept the inevitability of unfulfilled dreams. mound then stooped down and plucked up another baseball. air and hammered the fence. “Holy crap,” he muttered to himself, shaking his head. Gil flippantly tossed the ball back into the orange bucket. “What’s got you so pissed off?” Peck asked. 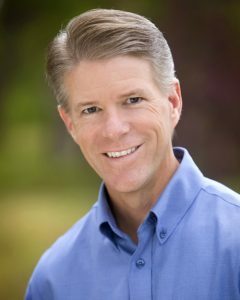 Gil slid the back of his worn leather glove across his brow. wavy hair, letting his burly hand glide over his six-inch mullet. “Unlike you, I didn’t stand a chance,” Gil snapped back. Gil hung his head and breathed out deeply. people can brag about that? And the kids here love you to death. parties and everyone has to tell how they met? I couldn’t do it. Peck reached out and put a hand on Gil’s broad shoulder. “Do I ever drink? I am the clean-cut all-American parent. don’t worry, they won’t fire you. Can you imagine the protests? up and tossed down the mitt, shaking his stinging hand. A hint of a smile crept onto Gil’s weathered face. “Drugs? say. Feller thought Satchel Paige was the fastest pitcher alive. “Then that confirms it—you are all screwed up my friend. more, just as a sanity check. Let me have it. Get really pissed off. “I think that confirms it,” he said, shaking his head.